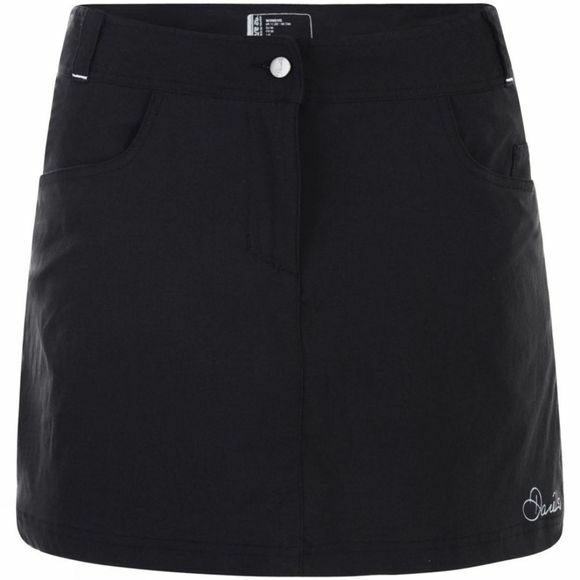 The Womens Melodic Skort sits over–the–knee with a stretch short under layer. It's made from showerproof nylon stretch fabric, and Dare2b have added a zip and button fastening. It's packed with handy pockets including zipped ones for security.